Good Morning! We have nice cool crisp weather here in Wisconsin. Loving it. Lots to do! We cleaned out the toy hauler yesterday since we have a couple of weeks here at home. The orders have piled up while we were gone so I’m anxious to get moving this morning and get them done. 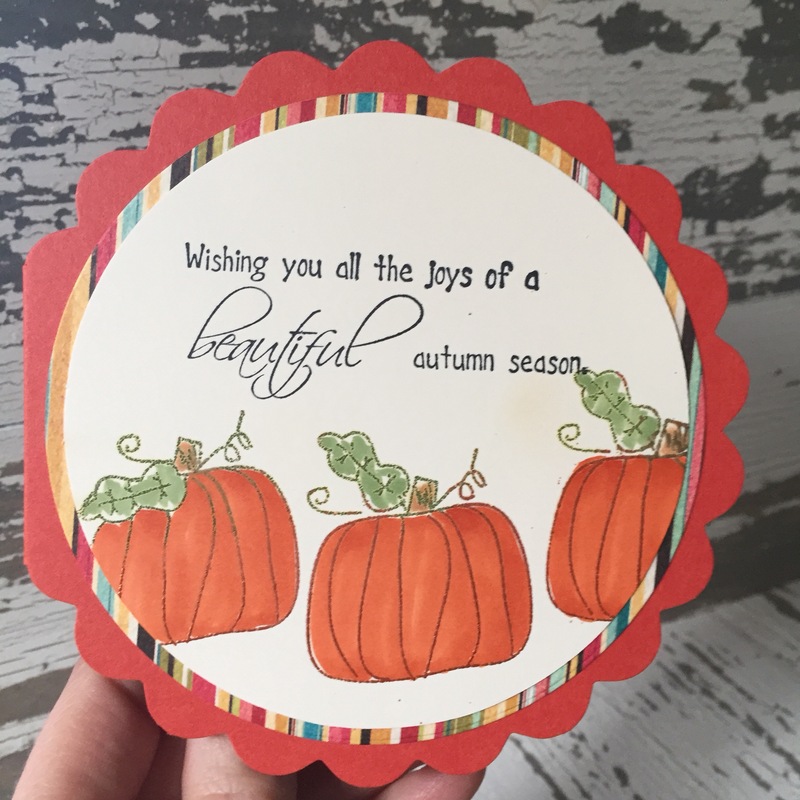 What size die did you use to create this? we bought these pre cut from the paper cut!